The spy pictures of the next generation Volkswagen Passat, revealed in China, created a media frenzy. Here’s a look at a reconstruction of what it’s expected to actually look like. Built on the MQB platform, the seventh generation Passat will be powered by transversely mounted, four cylinder petrol and diesel engines. It remains a no nonsense sedan, but its sleeker headlamps ensure that it comes across as a more contemporary vehicle. It offers all the comfort and luxury equipment that you could ask for in a high-class car. The cabin is well built, with high quality materials, which give it a solid and rich felling. The centre console is dominated by a large screen and a touch of Bentley-esque class, as it now gets an analogue clock. The new Passat will break cover in October at the Paris Motor Show. Mercedes-Benz unveiled a direct rival to the BMW X6 at the 2014 Beijing Auto Show – the ML Coupe concept. This coupe crossover was later caught doing test rounds. The MLC’s front grille is aggressive; it comes with sporty bumpers, and has a set of twin exhausts. The Three-Pointed Star’s new SUX is five metres long and will definitely be a crowd puller. The question that’s needs answering is whether it’ll compete with the BMW X6M, X6, or both? It certainly seems as though this four-door Mercedes sports utility will take on the Bavarian giant with all cylinders blazing. Skoda is planning to add a new SUV to its range, and they’re calling it the Snowman. Built on the MQB modular platform, this SUV will pave the way for the next generation Volkswagen Tiguan. The Snowman will be slotted above the Skoda Yeti, and should be about 4 meters and 60 centimeters in length (the Yeti measures 4.22 meters). In terms of practically, this new SUV will come as both a five and seven seater. The Snowman will also be available in either front or all-wheel drive. It’ll have a variety of engine options – three petrol engines with power between 150 and 220 horsepower, and two diesel engines between 150 and 184, all turbocharged. It’ll be produced at the Kvasiny factoryin the Czech Republic, where its cousin, the Seat Tribù,is also expected to be made. While the official announcement of a Bentley SUV is still doing rounds, the luxury carmaker could surprise the automotive world by more than doubling its portfolio by the end of the decade. The fleet from the House of Crewe would include their latest versions of the Continental GT and Flying Spur, the SUV, which will likely make its debut in 2016, and a sedan-coupé. Bentley also wants to introduce a compact, yet futuristic, supersports car in 2017, and a compact premium saloon by 2019. 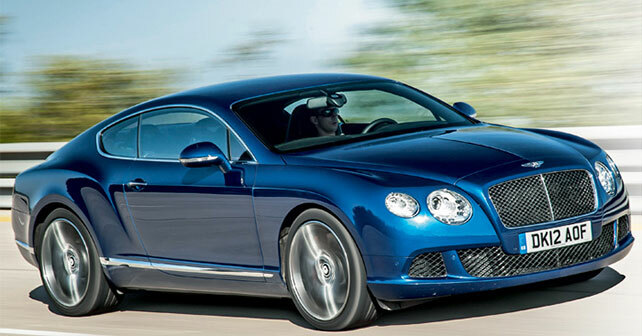 Bentley has an uphill task, as it wants to sell at least 15,000 cars by 2018. The marquee brand sold 10,120 cars in 2013.